On Monday my friend John Ilingworth and Mark Littlejohn went on an exploration of the River Eden Valley which lies between the Yorkshire Dales and the Lake District. The river is 90 miles long and runs between Mallerstang in the south and the Solway Forth in the north. It is a wide and fast flowing river and certainly deserves more of our time than we usually give. The start of the day was bitterly cold but dry and the forecast was for a sunny day so we first headed down the valley to Coombs Wood near Armathwaite. Conditions were glorious with a strong hoar frost in many of the trees and the silver birches were blessed with a fabulous sunny backlight. The far end of the valley was in deep shade and so cast a blue tone on any background in our photos. 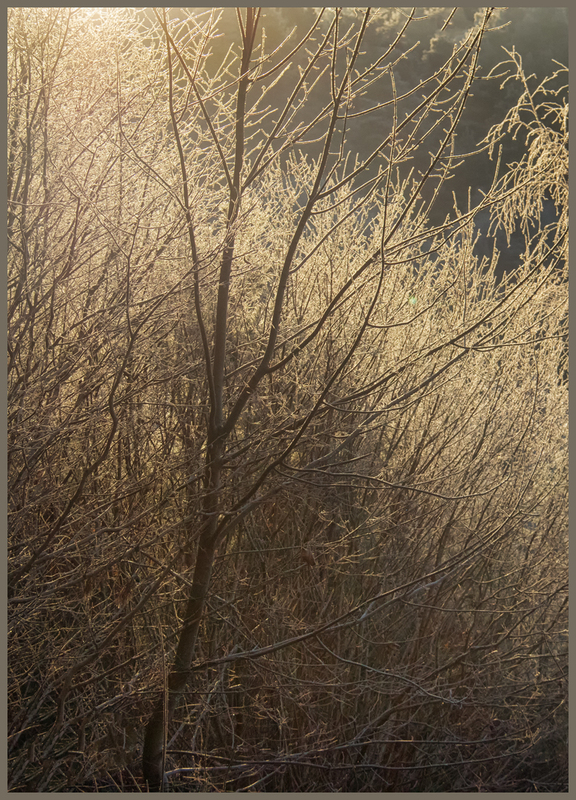 These images of the frosty trees were by far my favourite of the day. The photography wasn't about big views or clouds or the sea, but we were looking for contrast, colour and texture. I could become a serious tree photographer if I'm not very careful! 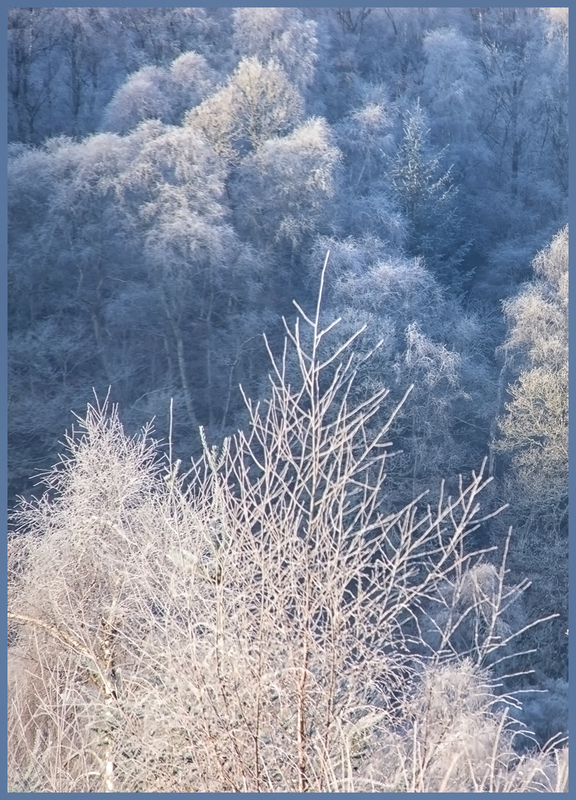 Posted on December 14, 2017 by Alison Taylor and tagged eden valley armathwaite coombs wood frosty trees silver birch.